CHAPLIN - minimal, emotional. With CHAPLIN we offer a new subtle product family, which is suitable for various areas. Like it’s namesake, CHAPLIN creates a big effect with minimal gestures and shows us his unique charisma. The table lamp is curiously looking over the workspace, the floor lamp is always cautious and fascinates by it’s simple height adjustment feature. 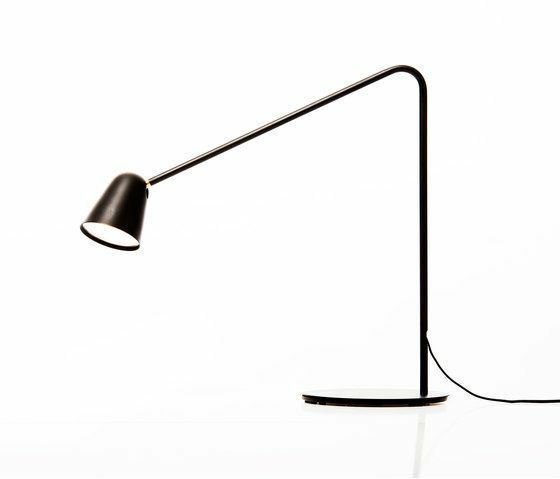 The cable routing enables the lampshade to linger in any desired position.